Question: Who is eligible to apply as a guest? Your business must have been started by you and based (headquartered) in Michigan AND have at least 5 employees or subcontractors currently working for you. You should also be in hiring mode. No franchises please. Question: How does someone apply to be a guest? 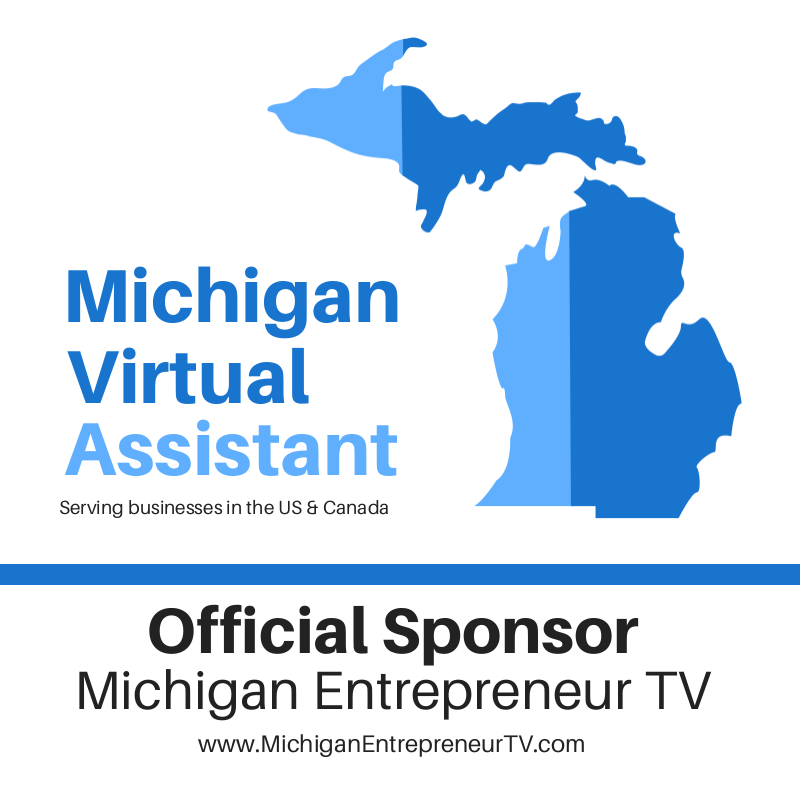 To apply to be a guest on Michigan Entrepreneur TV, please look for our postings on Help A Reporter, also known as HARO. We post all requests for guests through the HARO portal. In order to receive their notifications, you’ll need to sign up for their mailing lists. Several times each year, we post a “Request for Guest Applications.” At that time, you can respond to our query and if we think there might be a fit, we’ll invite you to submit an application. An application is just that and does not guarantee an invitation to be a guest. Each application is reviewed to see if it fits with our program goals and objectives. We maintain applications for up to one year. On occasion, we’ll send out a request through social media with specific instructions on how to follow up. It’s important to reply per our exact instructions or we will never receive your inquiry. We will not reply to inquiries that are submitted through channels other than the ones that are specifically listed in our query. At that time, we will mail you an application which we will need returned in approximately five days. After we receive your application, we will then send you our open tape dates and times from which you can select one. Question: What types of guests is Tara interested in interviewing? • You have at least 5+ employees or contractors currently working for you. • You are the founder (started the company yourself). You are a legal resident of Michigan. No franchises please. • You have something remarkable to share about your business – the nature of your product or service, your customer approach, how you serve the community, etc. Tara is looking for businesses that are highly creative, edgy, and which create value in our personal and professional lives. She especially likes technology companies. Your company can be anywhere along the spectrum from start-up to seller. • Comfortable sharing something of your personal side with the viewers. Our audience wants to know what it’s really like to be an entrepreneur. Do you work 24/7? How does this lifestyle affect your family? Have you ever thought of throwing in the towel? Is it really as glamorous as it seems? A willingness to share openly and honestly about your business is an important factor in being selected as a guest. • Great attitude, smile and sense of humor. • Articulate and comfortable in front of cameras. • Comfortable going with the flow. We don’t do re-takes. We tape this show through from start to finish — without stopping. While you’ll have a general sense of the questions Tara will be asking, nothing is scripted. Also, nothing is edited. If you’re a perfectionist, then you won’t be a good fit for our program. • If you’re not a business owner but are representing an organization that promotes, supports or consults to growing businesses, we also want to hear from you. This would include Anne Arbor IT zone, Automation Alley, faculty and students from Michigan Business School, and other Michigan based organizations that are playing a role in supporting entrepreneurs in Michigan. Question: What if I have to cancel an interview? Can I get rescheduled? Unfortunately, that’s not possible to do. Since we invest our own time, money and other resources into this program and we do this without compensation, we just can’t devote additional the resources to re-do things for you when we have other people waiting for a spot on the program. We lose the studio time that we have assigned to us and we can’t re-book it. Also, since we tape several programs back-to-back, your cancellation can leave a gaping hole in our schedule which results in our team waiting around until the next guest arrives. As you can understand, we must respect everyone’s time and schedules. While we make this all seem easy and simple for you, it takes a tremendous amount of time and resources to produce this show and organize our team. Thank you for understanding and respecting our investment of resources in you when we provide you with the initial invitation. 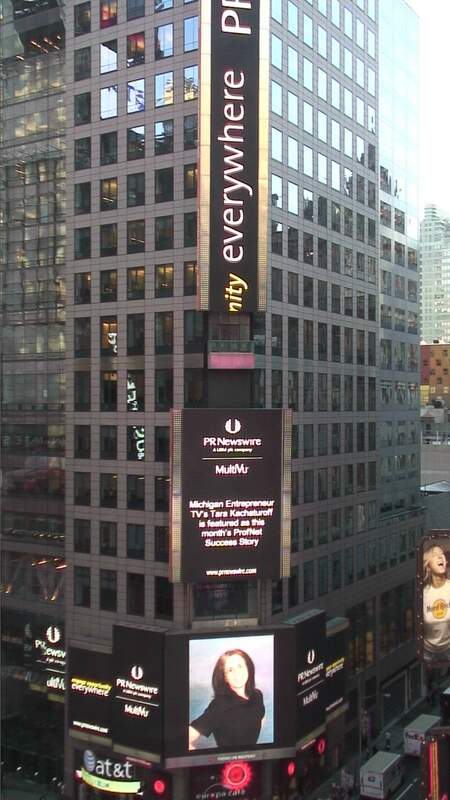 Question: Where is Michigan Entrepreneur taped? Question: What do I do when I arrive at the studio on my taping date and time? Check in at the front desk with the BCTV staff. You will be directed to the “green room” where you will sit down with the producer to fill out the Standard Release form and to review some of the details before going in to the studio. Question: How long should I expect to be at the television station? Plan to be at the studio for approximately one hour. Arrive 15 minutes prior to your taping to complete paperwork and to review details with the producer/host. All tapings begin at the top of the hour. For example, if you’re scheduled for a 9:00 a.m. taping, plan to arrive by no later than 8:45 a.m. Question: Do I need to bring anything with me to the taping? No, you don’t need to bring anything special to the taping unless you have something that we both agree upon to show to viewers as part of the interview. You can bring pictures or video. You can bring physical pictures, photographs, or objects related to your business. If you have digital pictures that could possibly be shown on the video while we are talking, they must be submitted on a CD in jpeg format FOUR WEEKS IN ADVANCE OF TAPING. Video must be of good quality, either VHS, SVHS, MiniDV or DVCPro. We cannot guarantee that your materials will be included in the taping. Tara will make the final determination as to whether additional materials will be allowed. Avoid wearing solid white, certain colors of blue (our background is a blue full length studio curtain), and clothing with strong patterns. Business attire or business casual is appropriate. No jeans or shorts, please. A small mic will be attached to your clothing. Our camera shots will show you full body so don’t dress just the top half of you like Larry King and other who sit behind desks do. The cameras will tape ALL of you! Question: What is the Standard Release Form? In order to appear on Michigan Entrepreneur, you will be required to fill out the following form when you arrive at the studio, which seeks your permission to record your likeness and voice. Question: I want to order an additional DVD or VHS recording of the show. Question: I purchased a DVD of my program and I would like to convert it to streaming video so I can add it to my website. Can I do that? Yes, you can. However, you are not allowed to charge a fee to access the recording. You do not own the copyright to the program and you are not allowed to profit from it. Question: I want to make copies of the DVD or VHS tape. Can I do that? You may make copies of the program only after receiving written permission from Leslie Helwig, General Manager of BCTV. You are not the owner of the copyrighted program so requests to make copies must be reviewed and approved. Question: Am I allowed to sell the DVDs or VHS tapes? No, you do not have the right to distribute these materials for a fee. You are not the copyright holder and, therefore, have no rights to the material except to copy them, and that is only granted after you receive written permission from Leslie Helwig, General Manager of BCTV. Once you receive her written permission, you may distribute copies of the program, free of charge, to prospects, customers, or clients. Question: I still have questions. What do I do?